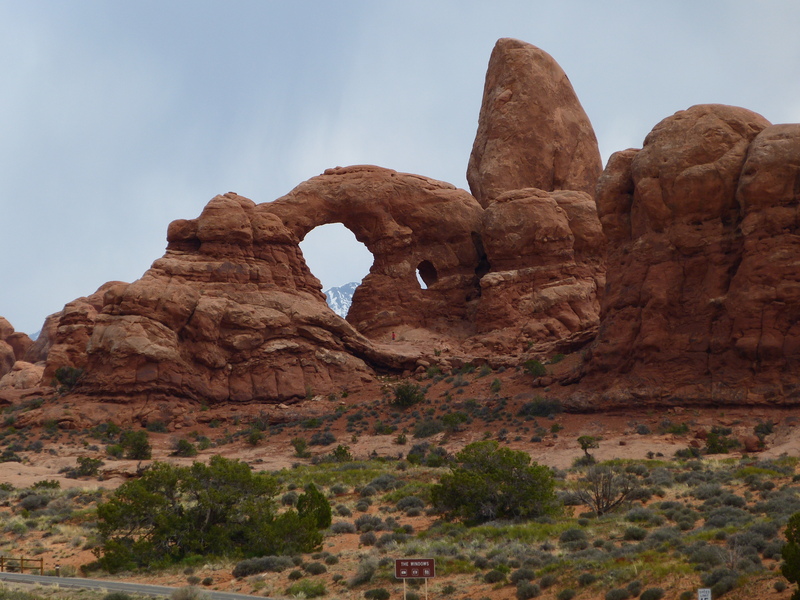 After our day at Capitol Reef we traveled to Arches National Park, only to find the campground full. 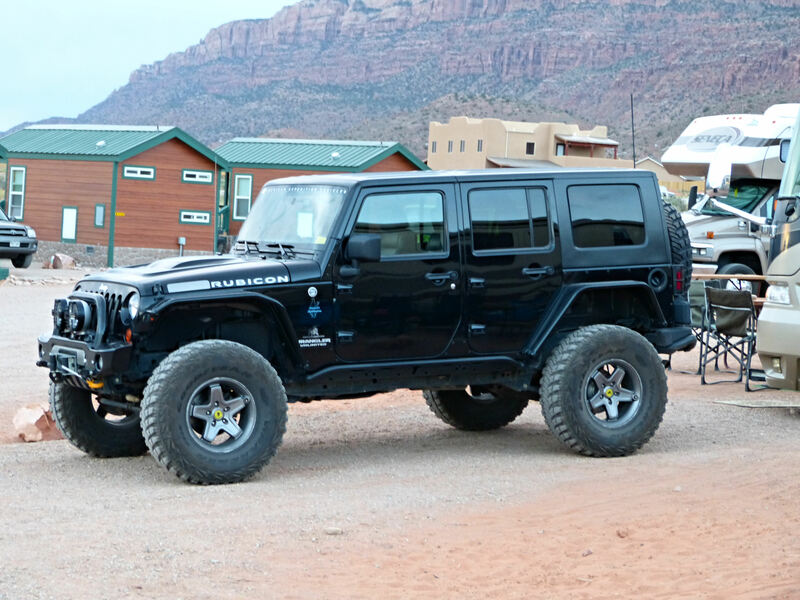 The timing of our visit coincides with the annual Jeep safari, and Moab is crawling with Jeeps! We ended up at a KOA with full hookups and a nice view of the surrounding rocks. 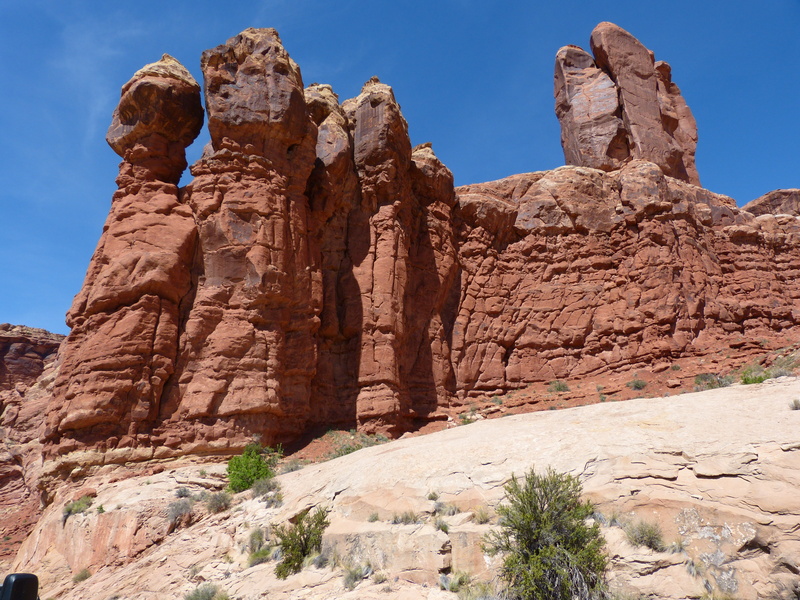 We hiked in Arches on two days, then traveled to Canyonlands National Park. Both are right here in Moab, and the town itself is pretty cool, too. The entire area is scenic and enjoyable. Not only have we hiked, but we have watched the rock climbers and the jeeps, all very interesting. I will let the pictures speak for themselves! We are moving tomorrow, headed for Nevada and California, so I don’t know if I will be able to access the internet for a few days. Will post when I can, thanks for reading. 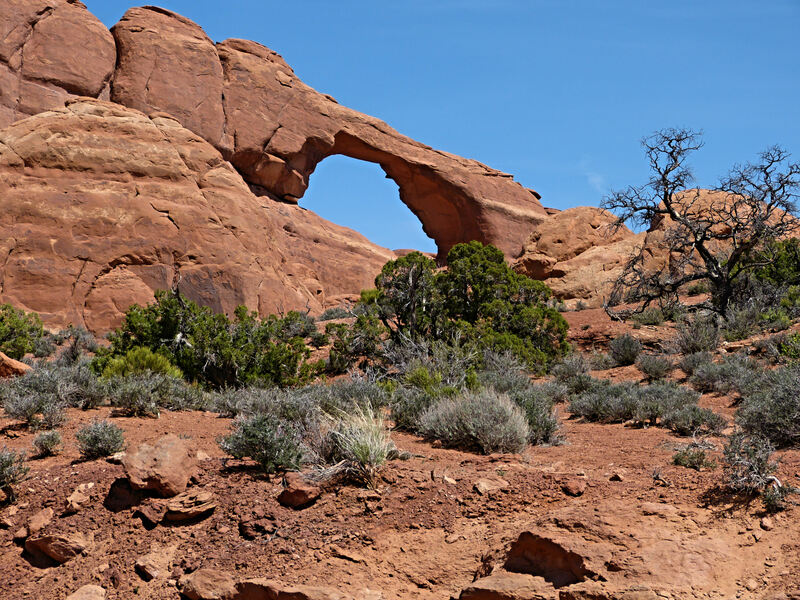 This entry was posted in camping, National Parks, Utah on April 13, 2014 by Ramblin' Rose. Fantastic pictures and commentary. There is definitely rich material for a future book! Thanks Dot! You would have loved Capitol Reef! Love the pictures! 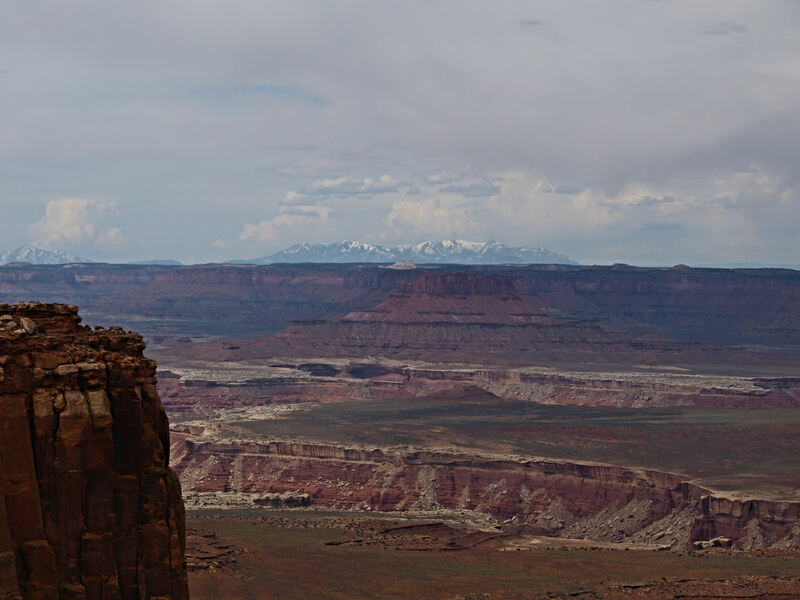 Did you hike any trails in Canyonlands? We did not end up doing any real hiking in Canyonlands as we had our dog with us and it was too warm to leave him in the vehicle. But there is lots of hiking to be done! Thanks for reading our blog. Hi Charlie, Sara, and WB. Finally got my new computer and was able to catch up on Ramblin’ Rose. Thoroughly enjoyed the breathtaking photos (still amazed that Charlie is responsible for them – are you sure it’s not Wolly) and the very interesting and informative narrative. I think you should contact Nat Geo when you get home. Could be a new career for both of you! Glad you’re having such a great adventure and sharing with all of us. Hi Susie! Glad your computer woes have been cured. Charlie and WB say “hi”! We are currently spending Easter weekend in Sequoia National Park. The blog got a bit behind because of lack of internet, will update it tomorrow. Have a happy Easter! Beautiful pictures of such a beautiful place to visit! Your post brought back memories of our first ever RV trip in the summer of 2006. Thanks! 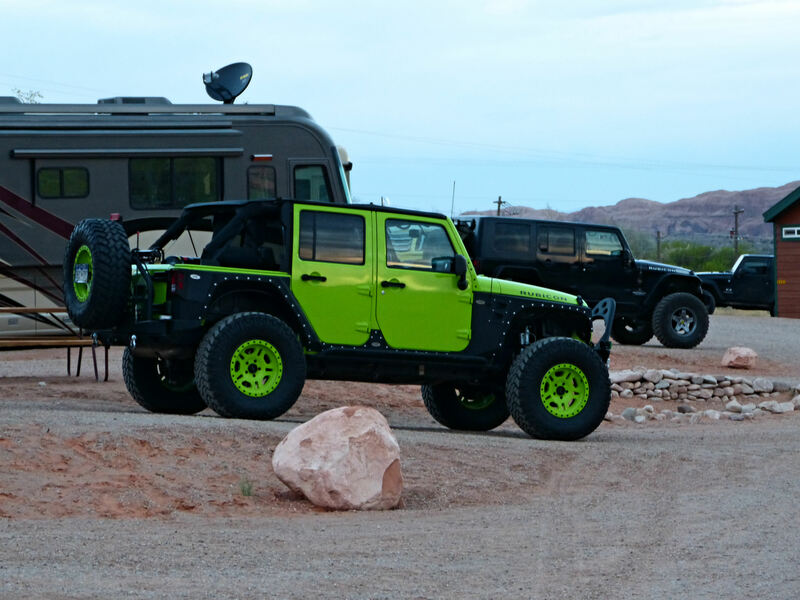 Mom, i am very jealous….I love the green jeep! We will have to go back when I get my new JEEP !